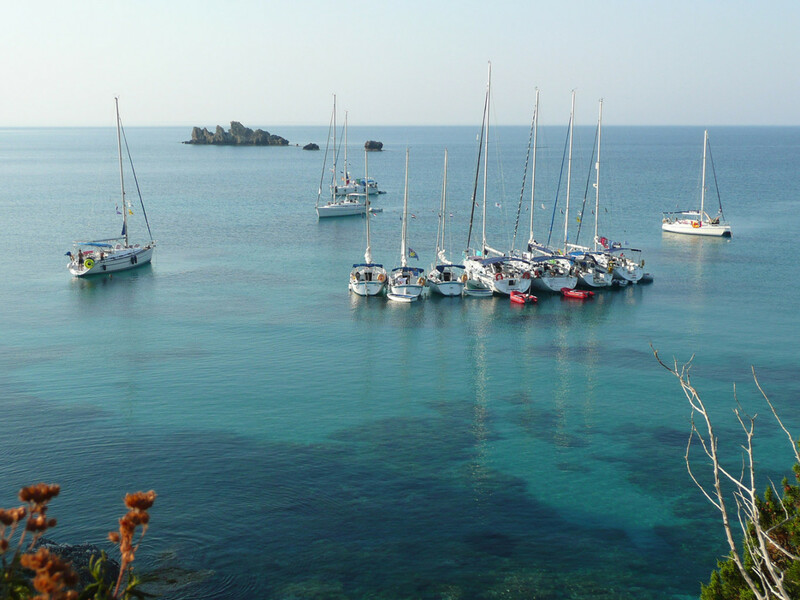 The sailing area of Corfu you find in the NW corner of Greece in the Ionian Sea. 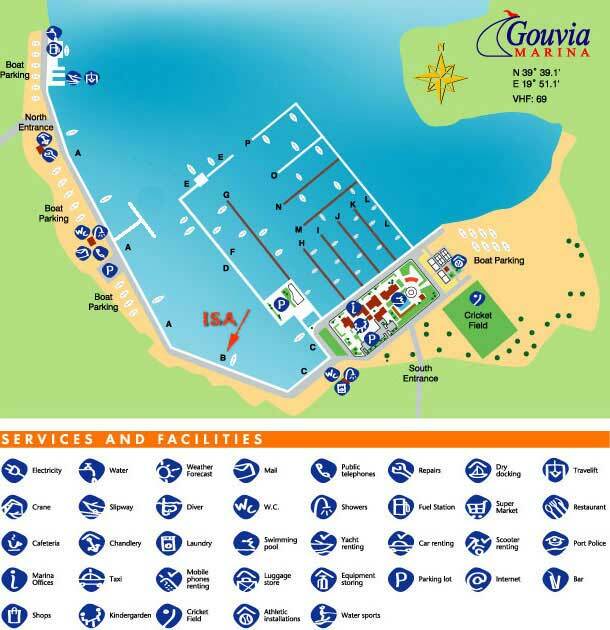 One of the easiest sailing area’s on earth. In summer you enjoy a smooth NW wind with an average of 3 to 5 Bft. To sail the whole area you need at least 2 weeks. The lead crew will make sure the route suits all participants of the flotilla. They will take into account which harbour are already visited, the weatherforecast, sailing experience, other flotilla’s etc. 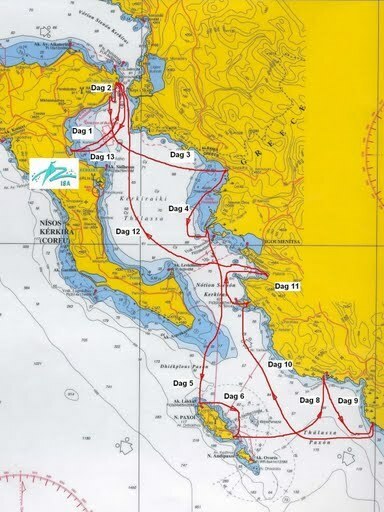 The daily distances are not too long (about 10 till 15 Nautical miles a day). 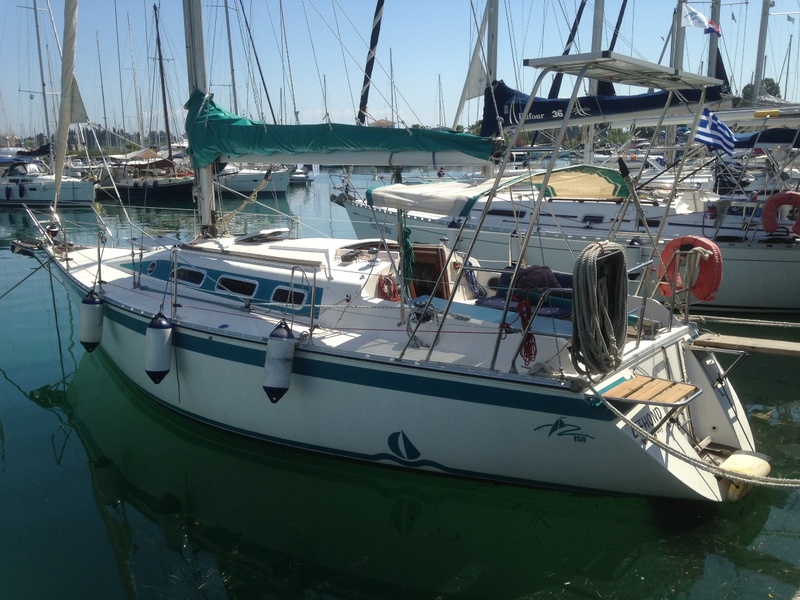 With an avarage of 4 to 5 knots this means there is time enough to anchor in a beautifull bay underway, to swim, sunbathe, read, or to be in the next port early to have time for a stroll land inwards. Who wants to sail more can always take the long route. There is enough to see and explore in this beautiful cruising area. Ask the lead crew for tips. Except in the (luxury) marina the harbors are small, nice fishing villages, with not many facilities. You don’t find shorepower easily, so our yachts all have solar panels nowadays. You do find nice fresh seafood, cosy places to go for a drink, interesting shops and amazing nature. 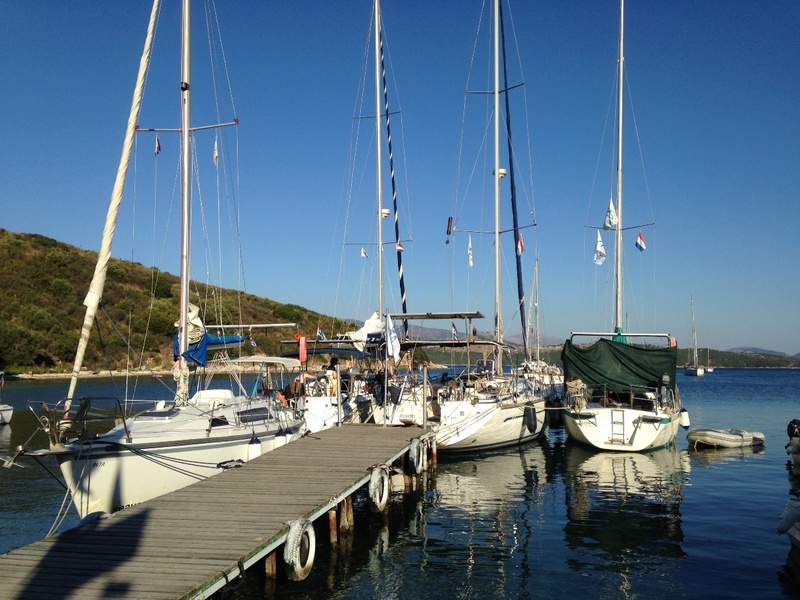 You can anchor of in a deserted bay for the night and swim and snorkel around your boat in the clearest waters. 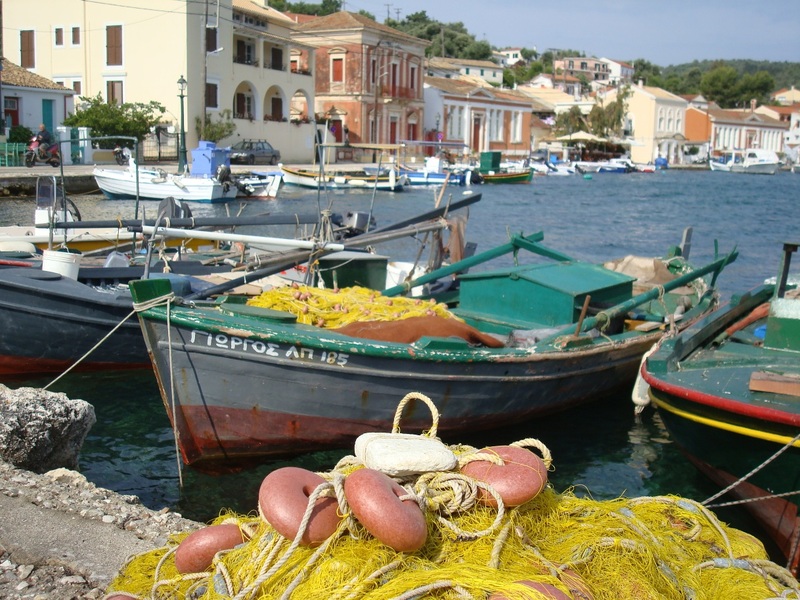 Sailors with more experience can go bareboat also more South to Lefkas, Keffalonia, Ithaca, Meganissi, Kastos, Kalamos. 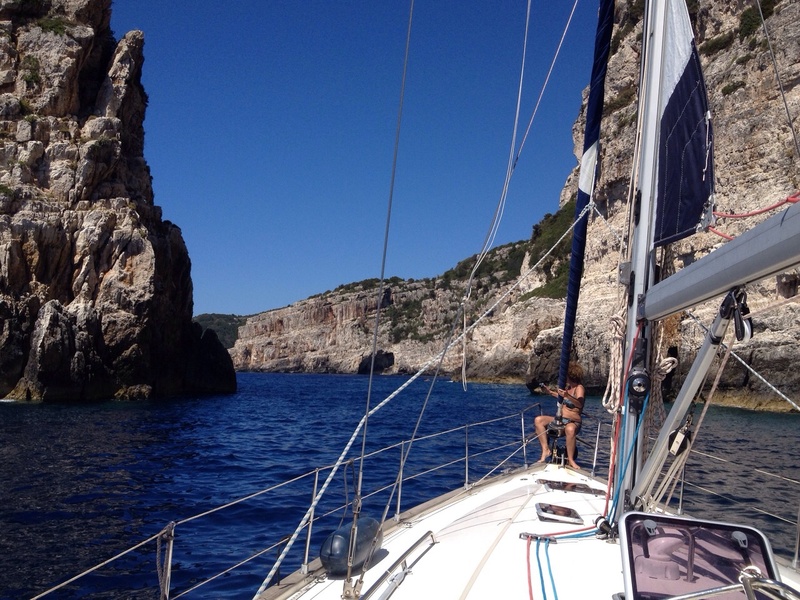 Take at least 2 or 3 weeks for relaxed sailing and visiting all the secrets of the Ionian. Enjoy!